Labour swept back to victory on Harrow council this week, overturning the Conservatives majority with a ten seat gain. But what do the results mean for all the different parties? Who were the winners and who were the losers of the local elections this year? With their eye on defending the constituency seats (which saw mixed results for them as Tony McNulty lost his seat) it seems the party weren’t expecting to storm back to power and certainly not quite so decisively. Councillor Bill Stephenson claimed he was ‘shell shocked’ about the result. There were big wins across the borough for the party, including a clean sweep of seats in Queensbury and West Harrow. While a good day for the party nationally, they lost their majority, including forfeiting seats in Rayners Lane and typically blue Harrow-on-the-Hill, where two Labour candidates made it on to the council. Notable casualties include Kenton West’s Jeremy Zeid (who had a razor thin majority of six votes to defend) and Headstone North’s Eric Silver. This election also marked the end of an era as former council leader and 2005 parliamentary candidate David Ashton and his wife Marilyn, who held the Stanmore Park ward, both stepped down. Stanmore Park remains a wholly Conservative ward. It seems the Clegg effect didn’t do much for Harrow. Nahid Boethe and Chris Noyce both came third in the constituency votes, but the party only managed one seats on the council. Independent candidate, James Bond, managed a not unsurprising victory and ousted Mayor Eric Silver. Bill Stephenson: Elected on to council in is likely to become the next council leader, to be voted on by cabinet next month. Largely because the local and general elections coincided, turnout was up this year, meaning more people in Harrow had their say. Whatever you think of the result, that is an undoubtedly positive outcome. The outgoing conservative leader of Harrow council heaped praise on the turnaround in the borough over the past three years. Councillor David Ashton, who is retiring before the next election, reminded residents at a public question time that the Conservative cabinet had overseen the first council tax freeze in 16 years. “In 2006 Harrow was the second worst council in London. We had a budget blackhole of and inadequate services,” he said at a public question time on Tuesday. He said Harrow was entering a difficult period, and that they were expecting a real cash reduction in the coming years, because the council grant would effectively be £2 million less than in 2008/9. But he was not completely negative about the future. However he said a reduction is council tax was very unlikely. At the event on Tuesday evening at Harrow Arts centre, deputy leader Councillor Susan Hall outlined plans to include provisions against dangerous dogs in tenancy agreements. She said that while people know the punishment for being caught with a knife, being caught keeping status dogs should carry more of a threat to owners. Although she said that status dogs were not a problem in Harrow, she said they were consulting with the RSPCA on the matter. During the evening, residents questioned planning portfolio-holder Councillor Marilyn Ashton about removing the parking charge for the first 20 minutes, in order to boost the trade of smaller shopkeepers. 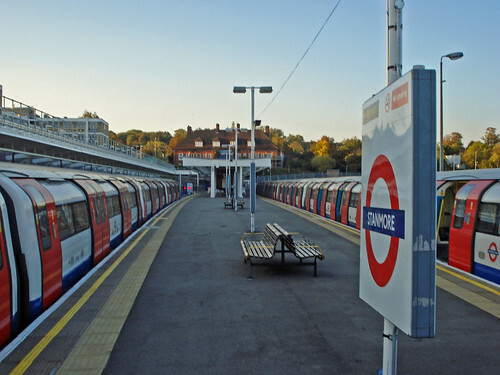 Later, she added: “There is scope for very big improvement and regeneration in Stanmore”. It will be politics as usual despite the resignations of two longstanding Conservative councillors, Harrow’s senior Liberal Democrat said this week. The comments by Councillor Christopher Noyce came following last week’s announcement that Harrow Council leader David Ashton and his wife Marilyn, who represents Stanmore Park, will not contest the upcoming election. Councillor Noyce, the leader of Harrow’s Lib Dems, told Stanmore Politics the decision would not mean any significant policy change but made things ‘interesting’. He said the news had come as a surprise and that Marilyn had always ‘steered a distinctive course’ in respect to planning matters. “The Tories will need a new leader,” said the Rayners Lane representative. “It’s quite interesting because the current deputy [Councillor Susan Hall] only won by one vote. The councillor said he did not expect to see much or indeed any change in the style of politics in the borough. Councillor Noyce said his party hoped to make gains in May’s council elections and were likely to contest more than 60 candidates. He said the election could be more interesting than usual. “If the general election happens on the same day [voter] turnout will be up,” he said. Turnout in Harrow, as elsewhere in the country, is typically low for local election. But he said the national contest could mean up to 70 per cent of people cast a vote. The Councillor said the constituency boundary changes, which come into force for this election, would make a difference to Harrow’s parliamentary election. Under the changes, Harrow East will be reduced in size and Hatch End, Pinner and Pinner South residents will choose an MP for Ruislip, Northwood and Pinner. Councillor Noyce is one of two Lib Dem’s sitting on Harrow Council. The upcoming council elections in Harrow just got more interesting. Harrow’s very own Hillary and Bill just announced they were leaving public life. News comes that Stanmore Park councillor for the last 12 years, Marilyn Ashton, will not be contesting her seat in May. Ashton is also the council member responsible for planning, development and enterprise. Along with her hubbie and Harrow Council leader for the past two years (and Belmont ward cllr), she will be standing down in May. The couple, both Conservative councillors, have cited a desire to go to the theatre more as one of the reasons for leaving their seats. “He has given strong political direction for us to deliver cleaner and safer streets, building stronger communities and improve support for vulnerable people. He has also played a significant role in our improved finances. Councillor Susan Hall also paid tribute to the husband and wife pairing. Harrow’s deputy leader said Mr Ashton’s financial background had been beneficial to the area. No word yet on who might stand to replace them, but watch this space for the latest updates.